I know I’m posting a little late guys, but having two teeth pulled and trying to blog after was just a futile mission. Now that my pain killers have kicked in though, I’ve pulled it together! 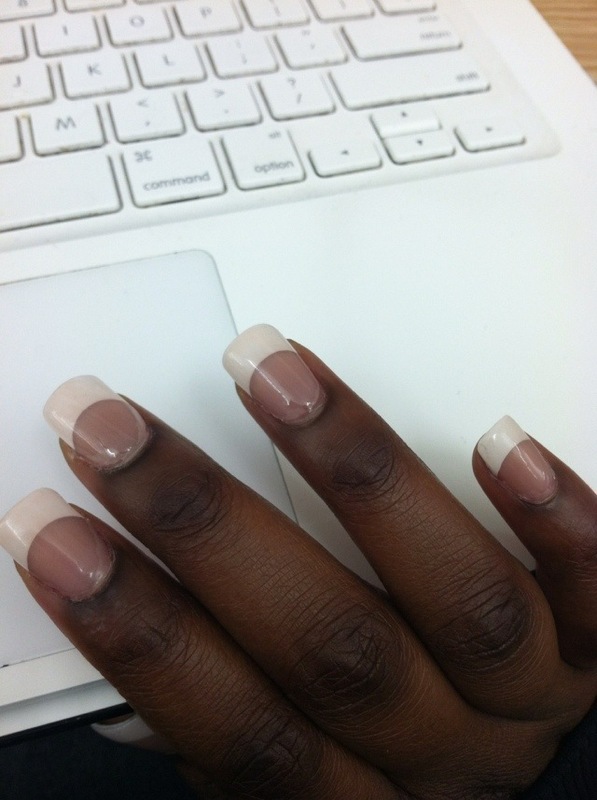 So last week, on some random spontaneous whim, I got acrylic french tips. I’ve always liked french manicures and since my nails have had a habit of growing a little bit but breaking a lot I decided to give them a rest and go for the tips. Now as a kid I wasn’t allowed to get tips so this is actually the third time in my life I’ve ever gotten them and the first time in two years.